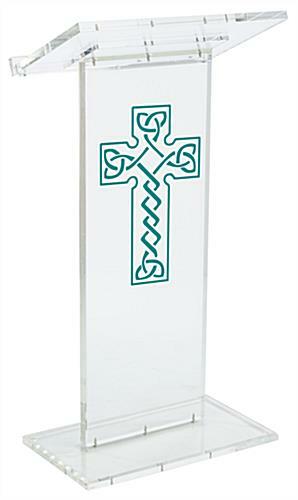 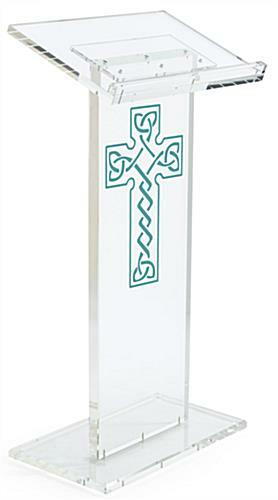 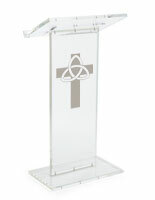 This acrylic pulpit with cross has a Celtic design that grounds the audience visually in the presentation. 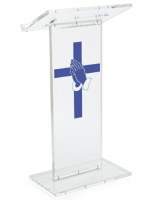 Buy this church furniture that stands 45.5" tall, a great height for most speakers. 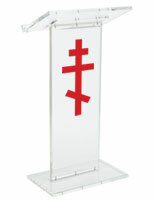 This pulpit with cross, unlike wooden podiums, is clear, and light reflective. 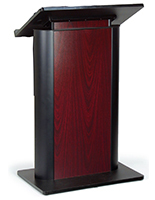 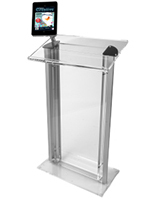 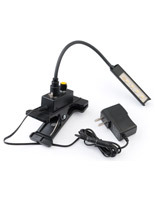 Each of these lecterns ships knocked down to save on shipping costs. 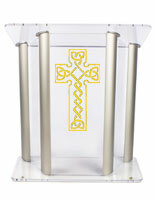 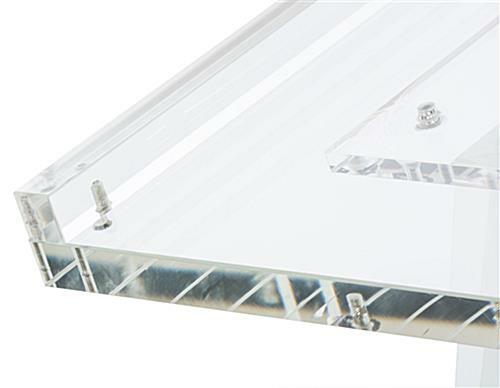 This pulpit with cross has a translucent, modern design that puts all the focus on the speaker. 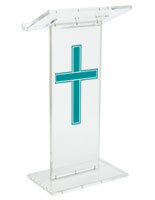 Add a 1-color stock imprint in one of ten pantone colors to the front panel to underscore the church motif. 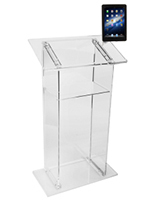 A generous surface makes room for supporting notes, a touchscreen tablet, or laptop.